Public Salary Structures in Nigeria what they Mean – Meaning of CONTISS, CONUASS, CONRAISS, CONTOPSAL, CONPSS, CONMESS, CONHESS,CONJUSS, CONPASS. I have most come across people making inquiry a out the labour market of the country. They seek to know more details concerning the salary structures in Nigeria; particularly more about the meaning of CONTISS, CONUASS, CONRAISS, CONTOPSAL, CONPSS, CONMESS, CONHESS,CONJUSS, CONPASS. Consolidated Top Federal Public Office Holders’ Salary Structure (CONTOPSAL): This is Salary Structure for the elite government officials. Consolidated Research and Allied Institutions Salary Structure (CONRAISS):this salary applying to official of Research, Training and Allied Institutions in the Federal Public Service. Consolidated University Academic Salary Structure (CONUASS): this is the salary package which applies to officials of the academic staff of federal universities. Consolidated Medical Salary Structure (CONMESS) : this pertains to salary stricture guiding the remuneration of Medical and Dental Officers in the Federal Public Service. Consolidated Health Salary Structure(CONHESS) :this pertains to the salary range for medical laboratory, nurses and other health workers, pharmacists, and generally the public health sector of the Federal Public Service. Consolidated Judicial Salary Structure (CONJUSS): this is an official pay arrangement guiding salary allocations to judiciary workers in the Federal Public Service. 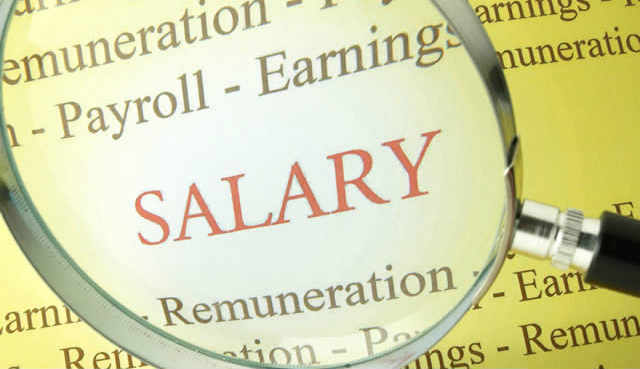 Should you want to know more about the pay of a range of government officials, go to The National Salaries, Incomes & Wages Commission (NSIWC) – www.nsiwc.gov.ng. Join Over 100,000 + Happy Subscribers. Sure You are Prepared to Apply for a Job? Deep Truths you Won’t Hear from Recruiters!